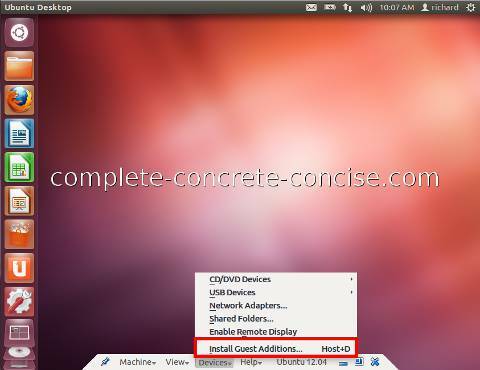 These instructions are for Ubuntu 12.04 running under VirtualBox 4.1.12 on Windows 7 with SP1. They should be the same or similar for other version combinations, but I make no guarantee. 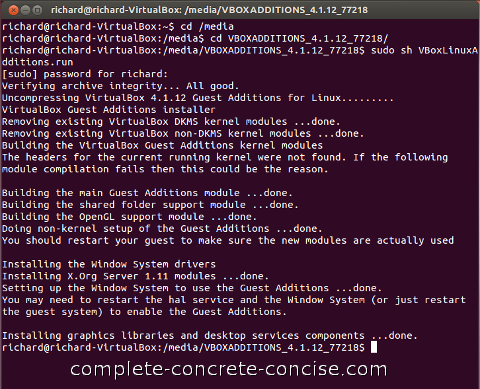 These instructions are the same or very similar for many other distros of Linux, however, the VirtualBox Guest Additions don’t work with all distros of Linux. For some Linux distros the installation does not happen automatically, you have to manually start it. 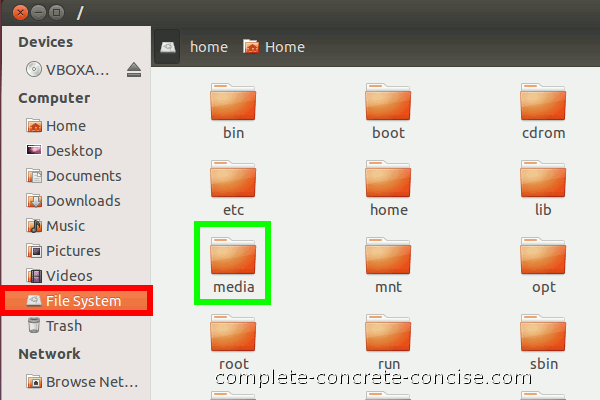 NOTE: sometimes, after Ubuntu updates have been installed, the Guest Additions will stop working. 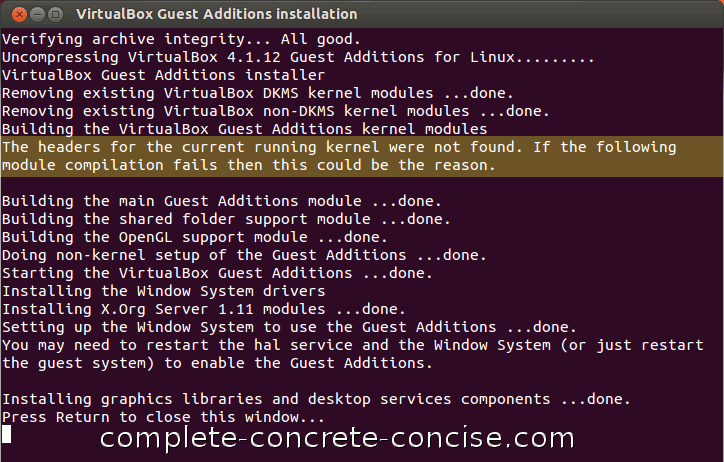 See the section When Install Guest Additions… Doesn’t Autorun below on how to manually run the Guest Installation procedure again. 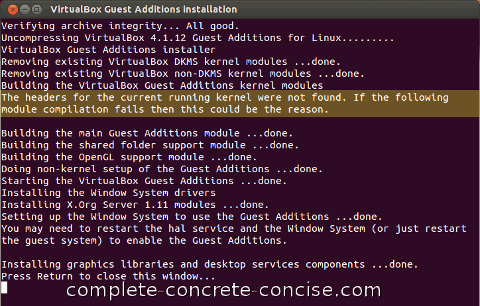 Why Install VirtualBox Guest Additions? Alternatively, you can just hold the right Ctrl key down and press the D key (the default Host key is the right Ctrl key). NOTE: sometimes selecting Install Guest Additions… (or pressing Host+D) installs the Guest Additions CD but fails to start the install process. If you don’t get the dialog below, see this section for manually starting the install process. The warning The headers for the current running kernel were not found. If the following module compilation fails then this could be the reason. is a spurious warning – I have had no problem with compilation.. 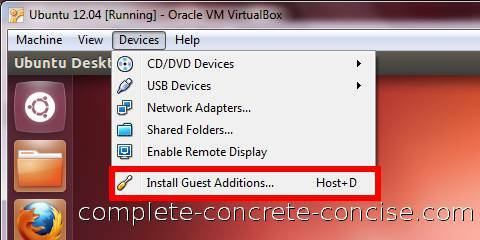 The next time the virtual machine starts, the guest additions will be installed and integrated. 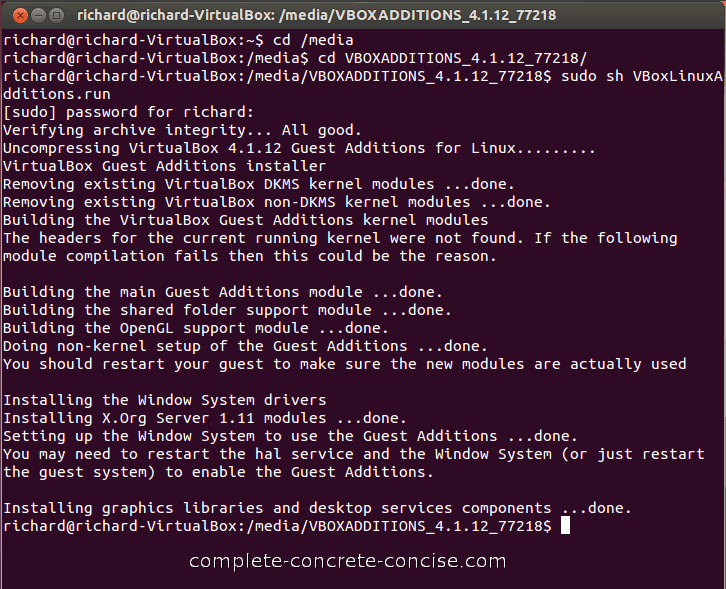 Note: VBOXADDITIONS_4.1.12_77218 is specific to VirtualBox 4.1.2. Each version of VirtualBox will have a different name. 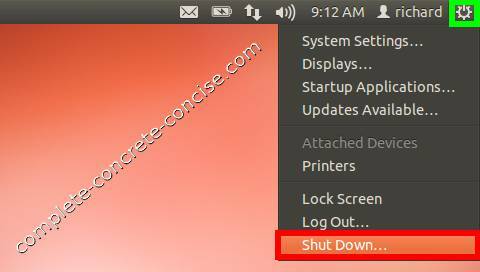 The simplest way to enter the name is to: (1) type cd VB and then press the Tab key to complete the name.